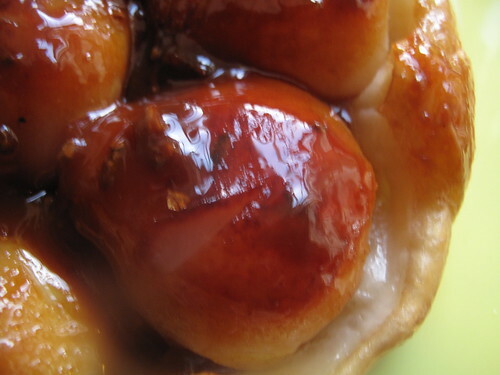 Upside down cakes….I love ’em. The first one I ever had was a pineapple upside-down cake. That was long before I became allergic to some varieties of pineapple. Yes, allergic. The Tarte became a signature dish at the Hotel Tatin and the recipe spread through the Sologne region. 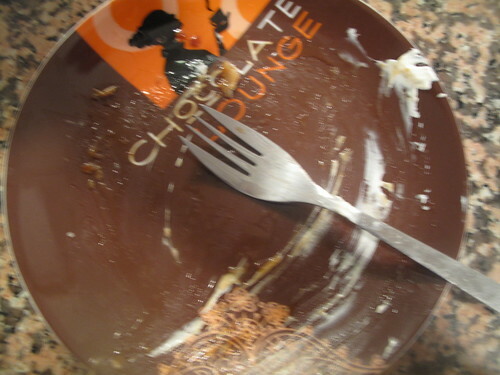 Its lasting fame is probably due to the restaurateur Louis Vaudable, who tasted the tart on a visit to Sologne and made the dessert a permanent fixture on the menu at his restaurant Maxim’s of Paris. 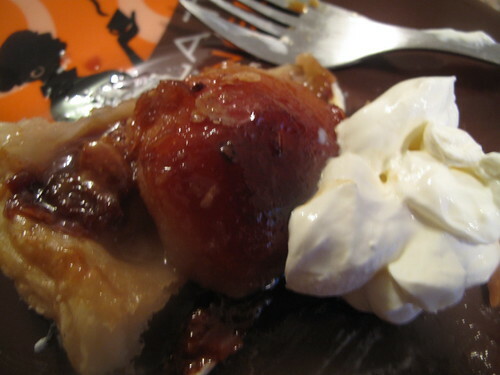 For me, I’m always amazed at how French desserts and techniques inspire fear in me…. from Bain Marie to Clafoutis, I am left trembling. Why? I guess they sound complicated, posh, unattainable. Mind you, I also felt the same way about Pesto…before I conquered it so that says nothing. Maybe I’m just a fearful person! So I had this recipe from a little book I have on Pastry classics. 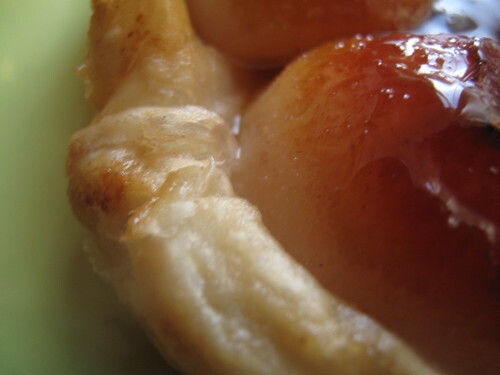 The Pear Tarte Tatin page has been dog-eared for months and years. 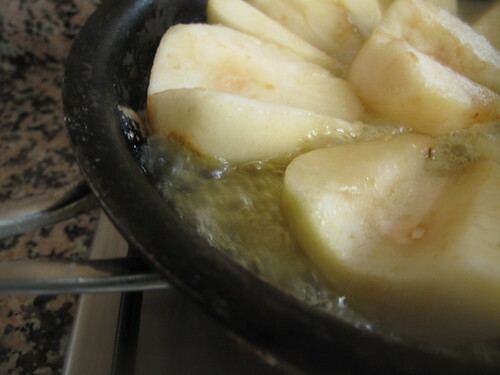 So…try this classic, with apples or with pears. I reckon Pineapple, Peaches and Nectarines would also go very, very well. Maybe with a few pecans crumbled….for texture. I am a pecan lover can you tell. And always, always, always served with Creme Fraiche. No more, no less. 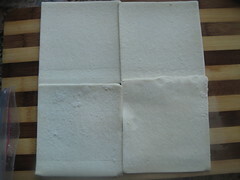 225g/8 oz puff pastry or 4 puff pastry squares (about 5 X 5 inches or 12 X 12 cm), thawed if frozen. To serve – Creme Fraiche or cream or ice-cream or…. Feeds 1, 2, 3 or 4…ideally no more otherwise you hardly have enough to savour the greatness and the delicacy of this pie! Don’t be in a hurry to use the puff pastry – if it is still frozen and you try to work with it, it will break so be a tad bit careful. It is much easier to handle the puff pastry when it is cool. 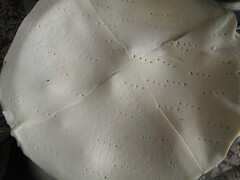 If it gets too warm, it will be difficult to handle (very sticky) and will result in edible but not very nice looking pockets so don’t allow the pastry stay out too long, thawing before you use it. 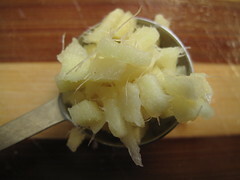 About 5-6 minutes at room temperature should be sufficient for it to have ‘shed’ its frozenness. Spread the butter over the base of an 18cm/7 inch ovenproof heavy-based pan or cake tin (preferably not a springform one). And please don’t do as I did and heat the pan first…. you’ll end up with partially melted butter if you do. 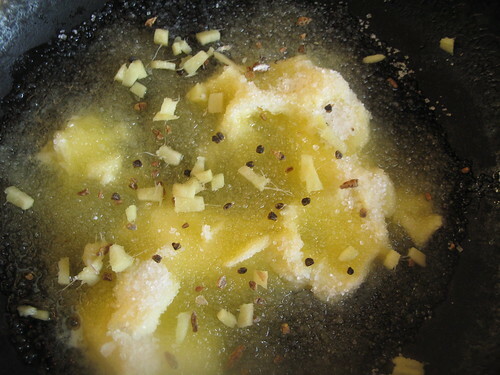 So, moving swiftly on, sprinkle the sugar over it (Vanilla sugar would go great if making an Apple version) and then add the cardamoms and chopped ginger. 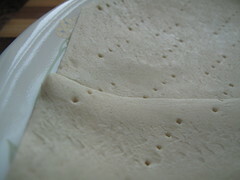 On a floured surface, roll-out the puff pastry. 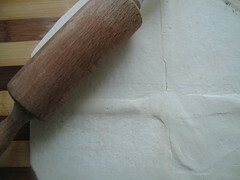 Since I use pastry sheets, I piece them together and then roll the edges to seal. 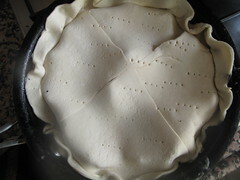 Then I place the pan over the patchwork pastry and cut around the pan, leaving an edge of a couple of centimetres. The I prick it lightly and transfer it to a plate, put it in the refigerator while I go about the rest. 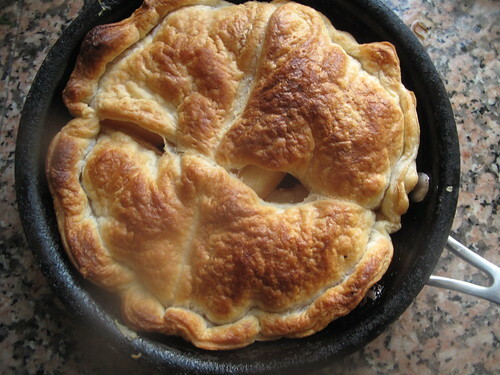 Place the pastry on top and tuck the edges down the side of the pan. Bake for 25 minutes or until well risen and golden. Take it out of the oven with the greatest care…this is one dessert you DON’T want to lose, not to mention the heat from the pan handles or the sides of the tin or the oven tray – which ever one makes it out, alive.Leave the tart in the tin/pan for 2-3 minutes until the juices have stopped bubbling – you might be able to hear it. 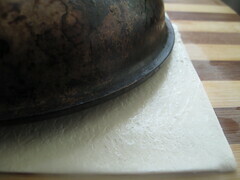 Then with utmost care, again, place a plate over the top of the pan and carefully invert the tin. 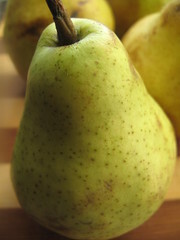 You may have to loosen the pears if they don’t want to leave their warm home. 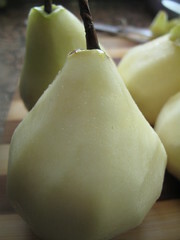 Should there be need, carefully slide a spatula under and give a gentle nudge – you don’t want poked pears do you? While admiring it from all sides. 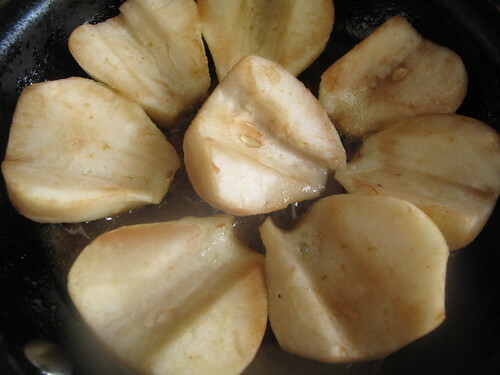 Slice, aiming to keep a whole half pear in a wedge…looks nicer. 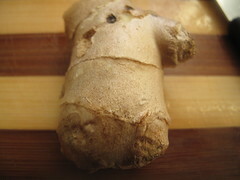 Serve warm with Creme Fraiche and a cuppa. Bliss. Want to know what it tastes like? 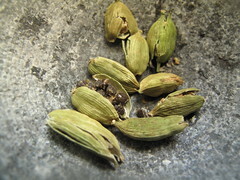 Here are some clues – delicate, fragranced, delicious…. 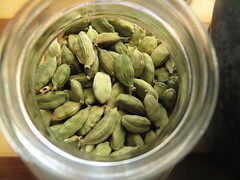 The Cardamoms and ginger give it some spice but not in an overpowering way…. 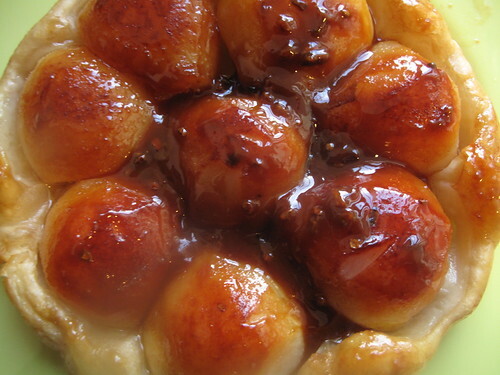 The Pears are PERFECTLY cooked – soft with a little bite, and the caramel, oh the caramel, luscious toffee flavoured and syruppy all rolled together. I would eat this and make this over and over and over again.